At Pathway Insurance Group, the heart of what we do centers around community and family. From charitable donations to community service we are dedicated to making a positive difference for those we serve. Making a difference in a positive way is at the foundation of our values and principles. It is tightly woven into the fabric of our company operates, including how we work with our employees, agents, partners and clients. Trust, confidence, financial and community stewardship is at the heart of keeping on the right path. Our focus includes investing in the communities in which we live, work, and serve. At its core of how we have been operating since the inception of our company. To that end, you will find the Pathway Insurance Group “family” giving of their time, talent and treasures on a community level. To further increase our efforts to give back to our community and focus on providing support to those in need, we have established the Pathway Family Foundation. Click here to visit the website. The mission of Pathway Family Foundation is to help children, families and seniors navigate through transitions in life. 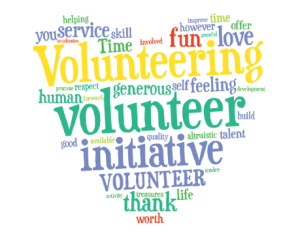 Contact us to find out how to volunteer or learn how to support the mission of Pathway Family Foundation. At Pathway Insurance Group, our dedication to the community is company wide. Contact us to learn more.